Ever thought a Home Buying Mentor was only for property investors? Sure, they can be invaluable for the investor. But a Home Buying Mentor can help anyone who wants to begin the buying process with more knowledge and expertise. Here are 5 ways a Home Buying Mentor can make life much easier when you’re buying a property. Taking the time to get to know you well, and understand your needs and wants. Providing a strategic approach to how a property might fit with your financial plan, your current investment portfolio and your lifestyle goals. Creating a “favourites list” and researching the market, local laws and requirements, and property details on which to base buying decisions. Presenting an offer to the Selling Agent, and negotiating ideal terms as well as price. Connecting you with reputable people and services to assist in the buying process, such as inspections, legals and financing. Whether you are a homemaker or investor, a Home Buying Mentor can be there to give you advice, and represent your interests. They can do that whether you are buying the property to live in or for investment purposes. The right Consultant will focus on helping you get closer to your long-term goals. 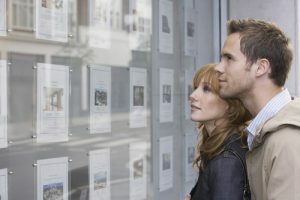 They will look beyond the numbers to help make the whole buying process a positive experience. Bluebell Connections provides a range of property services for the Brisbane area, including Home Buying Mentor assistance.